Posted on Saturday, November 25th, 2017 at 4:01 pm. 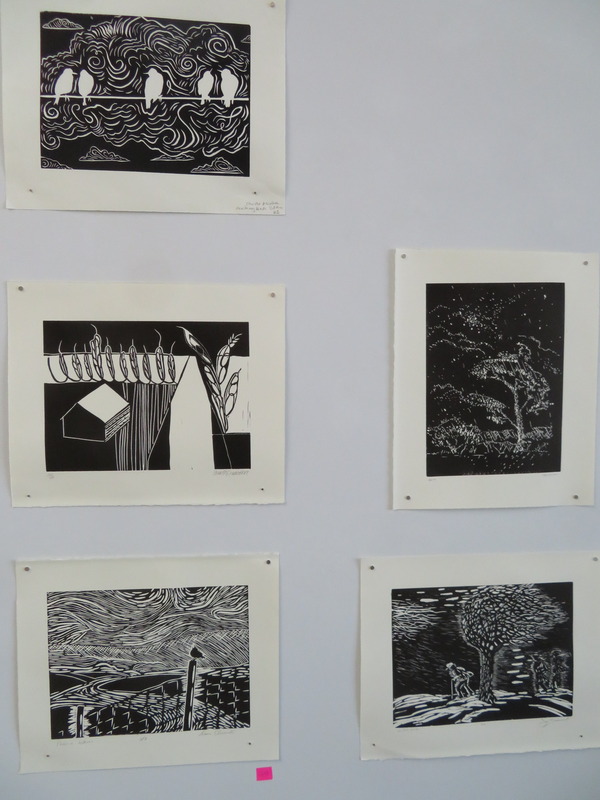 Constellation Studios presents Our Skyline, a creative project and exhibition, of hand carved linoleum block prints by over 28 community artists and 20 UNL students. 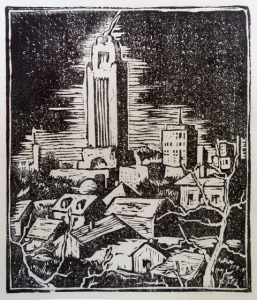 The prints were created in respond to the historic linoleum block print by noted Nebraska art teacher Gladys Lux created in the 1930’s of the Lincoln skyline with the state capitol building under construction. 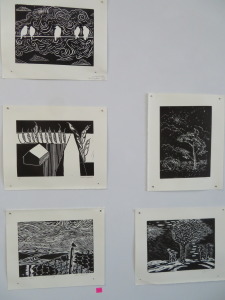 This print is featured in the exhibition on loan from the Lux family. 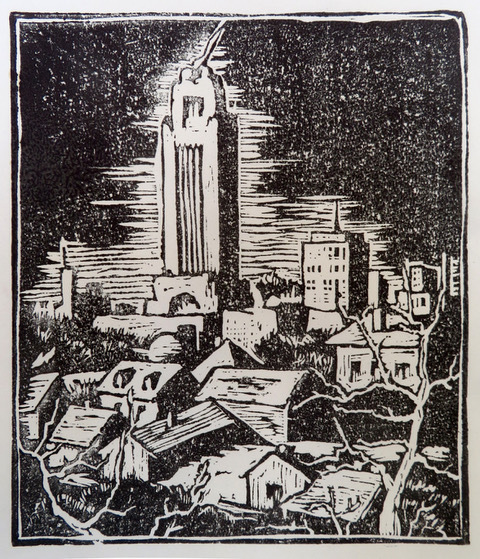 This creative project is an Official Event of the Nebraska Sesquicentennial, and celebrates 150 years of statehood. Our Skyline participants were inspired with a myriad of art and design approaches: views of our state capitol, downtown, distant viewpoints of Lincoln, urban construction, iconic Nebraska landmarks, rural settings and structures, our open skies, nature silhouettes of trees, grasses, the prairie, and conceptual ideas. 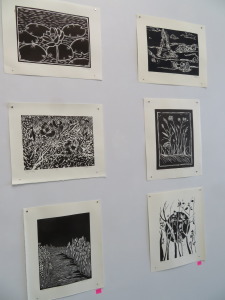 Participants took part in two printing sessions to carve and print with assistants to run blocks and paper through the presses during the sessions. 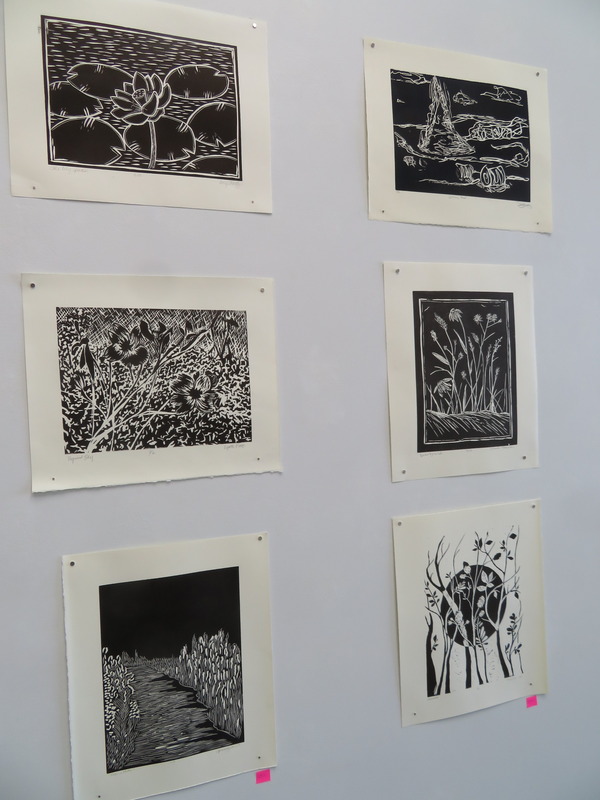 For many this was their first time creating a print, with “printing magic” transforming their mark-making into a striking graphic statement.